Pin-Ups (1973.) David Bowie's seventh album. 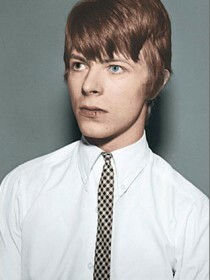 David Bowie is one hell of a classic rocker. One of the reasons his music is so excellent is due to the fact that he is always willing to try new things. One of his most interesting experiments came about in 1973, and I'm NOT talking about Aladdin Sane (although that was an interesting experiment in its own right.) 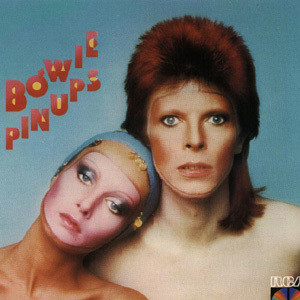 Pin-Ups, the forgotten David Bowie album, was released mere months after that considerably more popular title. This was an album consisting mostly of sixties pop-rock covers - NO Bowie originals were featured. How does it measure up? Read on and find out. 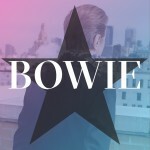 David Bowie has always been a man to try new things in the musical world, and it serves him well most of the time. This album is no exception. Many fans, casual and die-hard alike, pass this off as a blatant, rush-recorded attempt to cash in following the release of Aladdin Sane. I do NOT agree with this. 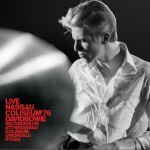 I think that this is an excellent album, through and through, despite the lack of Bowie originals. 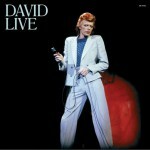 Interestingly, Bowie doesn't cover any Beatles or Dave Clark Five tunes on this album, but what he does cover is excellent. For instance, we get a cover of the Who classic I Can't Explain, which is a bit slower and more melodic than the original. 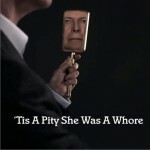 Bowie's new take on the song is great, even if the style differs drastically of that from the original. See Emily Play is a composition by Syd Barrett (of Pink Floyd fame), and Bowie does this song well, too. But, of course, my personal favorite song featued here would have to be the Easy Beats cover, Friday On My Mind. 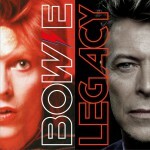 Bowie takes an old favorite and breathes new life into it! Through and through this is a very good album, even if it's very different from what you're used to hearing from Mr. Bowie. No Bowie die-hard should overlook this one. There are two major versions of this album readily available in America (as of June 16, 2004), and those are the standard American version, and the Rykodisc import version. The import features bonus tracks not on the American release, but it's not likely you'll find it in an American store. 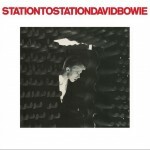 Shell out the extra cash and get the import ONLY if you're an extreme Bowie fan. 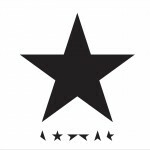 In the end, this stands as a damn fine album, even if many of Bowie's fans tend to overlook it. 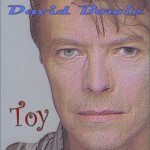 This album was NOT a cash cow, despite what many say - it was just Bowie doing what he does best - trying new things. This isn't really a good place to start if you're new to his music, but if you're a fan of his, it's worth buying.